From a quick hike down your local trail to an all day trip through the mountains. Day packs come in all shapes and sizes. They hold everything you need to hike out and get back before the sunset. With the wide range of packs available on the market it can get hard to find the one that’s right for you. 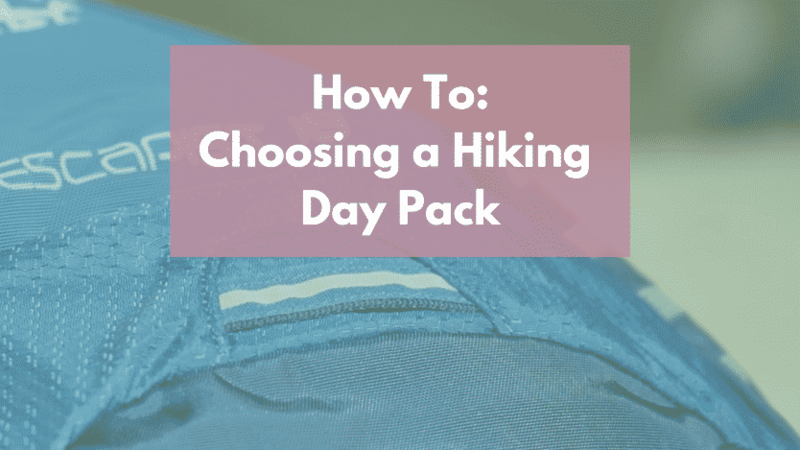 Today we’re going to talk about some of the key factors to look for when selecting a day pack. 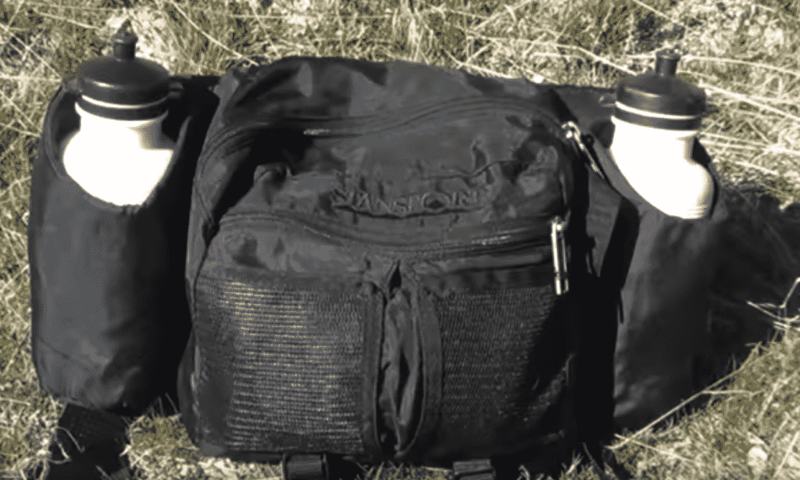 When choosing your daypack here are a few things to keep in mind. Main Uses: You need to figure out how you plan on using your pack. Are you planning a long 12 hour hike through difficult terrain or short 1-2 hour hike at your local park. Both scenarios would be considered a day hike, but you’d need vastly different gear. Trip Duration: On short 1-2 hour hikes you probably won’t need to do a lot of planning. A small 20L pack would work. Once you get into the 4+ hour range you’ll need to bring extra gear. Personal Preferences: Being a 6ft 200lb man I can comfortably carry more gear than my 70-year old 110lb mother. My preferred pack size and her pack size are going to be vastly different. What’s The Best Daypack Size? When choosing a daypack the most important thing to look at is volume. For short hikes where you only need to carry the bare essentials you can go with a 20L pack. I’ve found that Osprey’s 20L Daylite Pack is the perfect size for most hikes. It can hold a 3L water reservoir and all the extra gear I need. On longer all day hikes or hikes on difficult terrain you’ll want a larger 30L-32L pack. With a bigger pack you’ll be able to squeeze in those extra items that make hiking a little more comfortable. If you can only afford to buy one pack I’d go with a larger 32L daypack like this one. It’s the perfect size for longer day hikes and doubles as my Airport carry on. Remember that packs are fairly light and you don’t have to fill it up completely. Check out my post on packing for a day hike! If you’re carrying group gear or need to plan around the weather you might want a bigger 35L+ pack. That extra rain jacket, oversized gravity water filter, and stove really take up a lot of space. Smaller packs aren’t designed to carry heavy loads. Think about how heavy your pack is going to be after filling the water reservoir. You’ll be carrying a pair of 2 liter bottles of water on your back. Throw in all your random gear and that’s a lot of weight. Small daypacks just aren’t meant to distribute all that extra weight. Along with volume how much weight do you plan on carrying. Small daypacks are designed for lighter loads and don’t offer the support needed for extra weight. Small 20L packs don’t have quality hip and sternum straps to help balance the pack. They have very little structure since they’re designed to minimize weight. Larger packs which are designed to carry more weight are going to have rigid back panels to stabilize the load. They’ll have additional padding and ventilation to make carrying heavier gear more comfortable. Look for packs (like this one) that have thick padded hip belt that makes carrying your pack more comfortable. They’re designed with fully adjustable straps and length adjustments to fit your torso. Back when I first got into backpacking in the early 90’s nobody marketed gear towards woman. All gear was marketed towards a 5’9, 185lb man leaving a little room for slight adjustments. Considering men and women have vastly different bodies most of the gear just didn’t fit right. Recently manufacturers realized the error in their ways and started designing packs specifically marketed towards women. Women’s packs typically have contoured shoulder straps, narrower profiles and shorter torso lengths. Lumbar packs are another great option for short 1-2 hour day hikes. Most lumbar packs can hold about 15 liters of gear. I actually keep my Osprey Talon Lumbar Pack in the trunk of my car for those last minute after work hikes. They’re perfect for carrying a few water bottles, snacks and a basic first aid kit on short local hikes. These packs are really popular in the trail running communities. Since they’re so lightweight they are the perfect pack for a short hike after work. Honestly, I’m not a huge fan of using hybrid hydration packs on regular hikes. Considering how lightweight they are they’re great for trail running and hiking but there’s not enough room for a regular hike. That being said, I do have a CamelBak HydroBak that I take on cycling and kayak trips. It can hold 3 Liters of water and 9L of gear so I can carry my snacks/water and some basic essentials. After focusing on your volume and weight carrying needs it’s time to take a look at those extra features. Choose the features that are going to make your trip more enjoyable. Hydration Reservoirs: Compatibility with hydration reservoirs have come standard on most day packs. Personally, I don’t use a hydration reservoirs on shorter hikes because they are a pain to clean, but it’s nice to have the option. External Pockets: I make sure all of my packs have external pockets to keep my essentials close. I like to have quick access to my camera/phone and water bottle. Straps: I’m constantly using my straps to attach my trekking poles. Ventilated Panels: Ventilated panels are almost a necessity on any hiking pack. If you sweat a lot you’re going to wish you had them. Check out my post on reducing sweat while hiking. Attachment Points: I like to hang carabiners off my attachment loops so that I can quickly strap additional gear to my bag. They get used constantly for attaching random gear that I don’t feel like carrying.